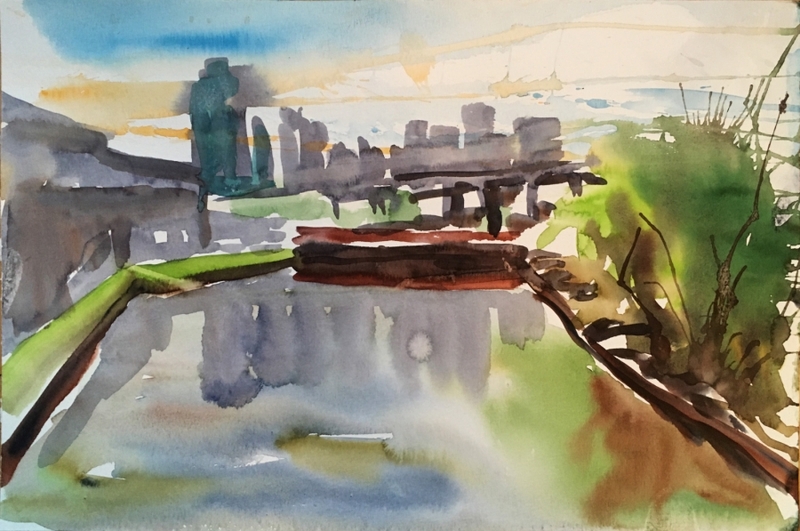 I am drawn to painting the places where nature and human development meet, and so the urban landscapes of New York City are especially interesting to me. 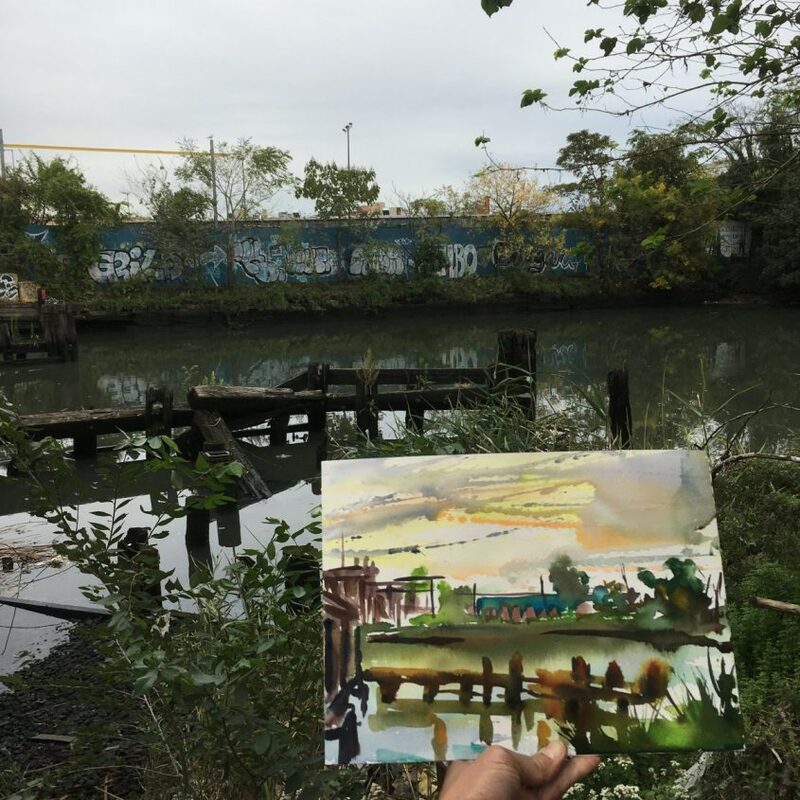 After 5 years of living in Queens, following 25 years in Brooklyn, I finally ventured to the borderland between those two boroughs, the neglected brownfields and polluted waters of Newtown Creek. 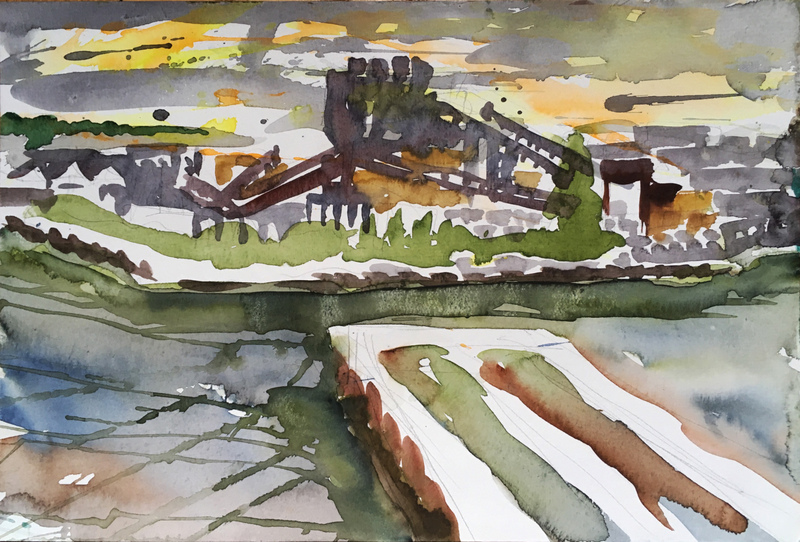 Newtown Creek was once a rich natural complex of wetlands, woods and thriving marine life. 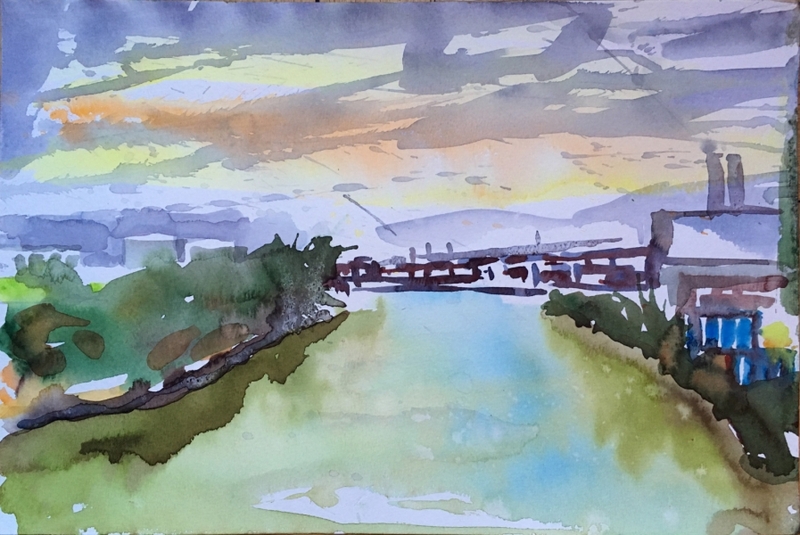 Starting in the 19th century, unrestrained industrial development along the creek transformed the area into one of the most polluted waterways in the nation. 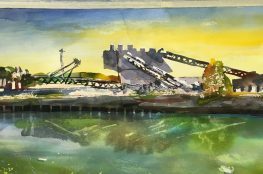 There are current efforts underway to remediate and revive the creek, which are quite ambitious. 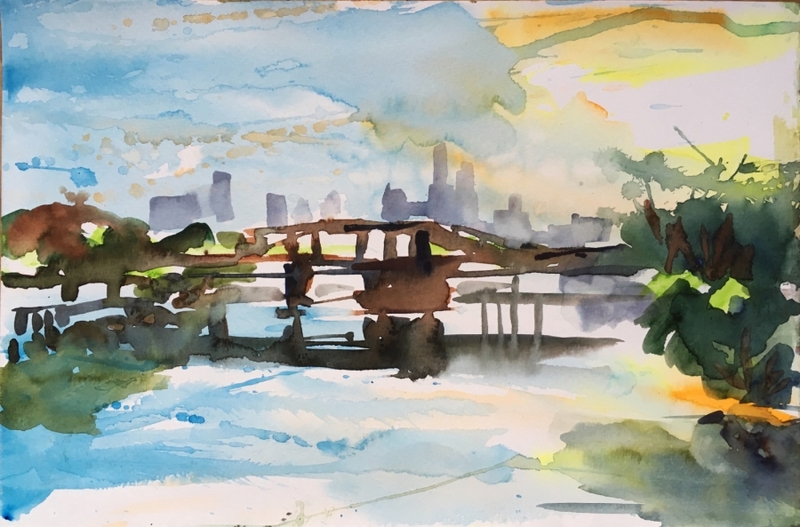 I support a future for the creek which features parkland, cleaner waters, bustling activities and responsible development. 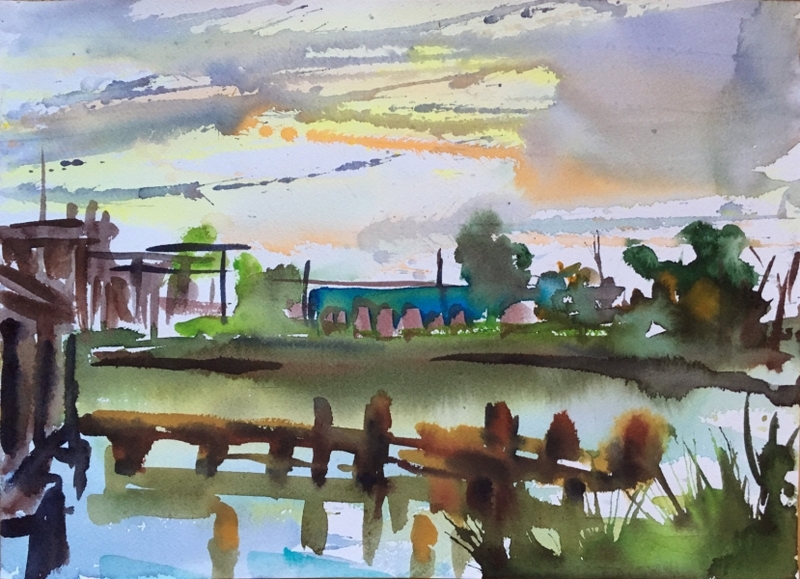 But right now, the haunting and surprising beauty of the creek at this point in time has captured me. 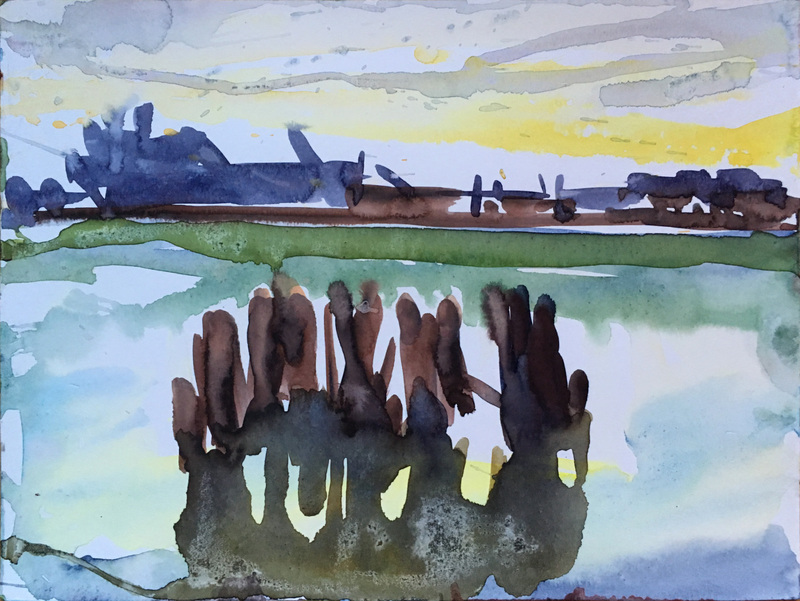 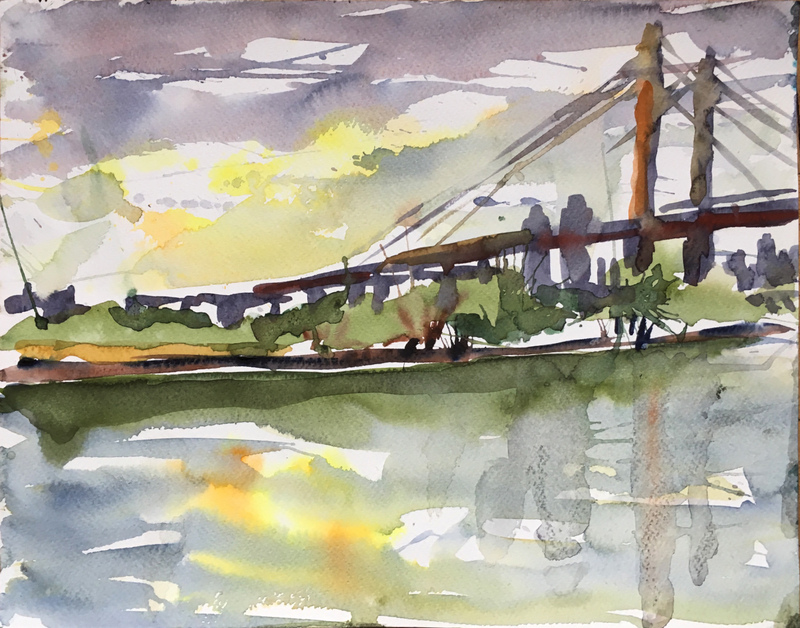 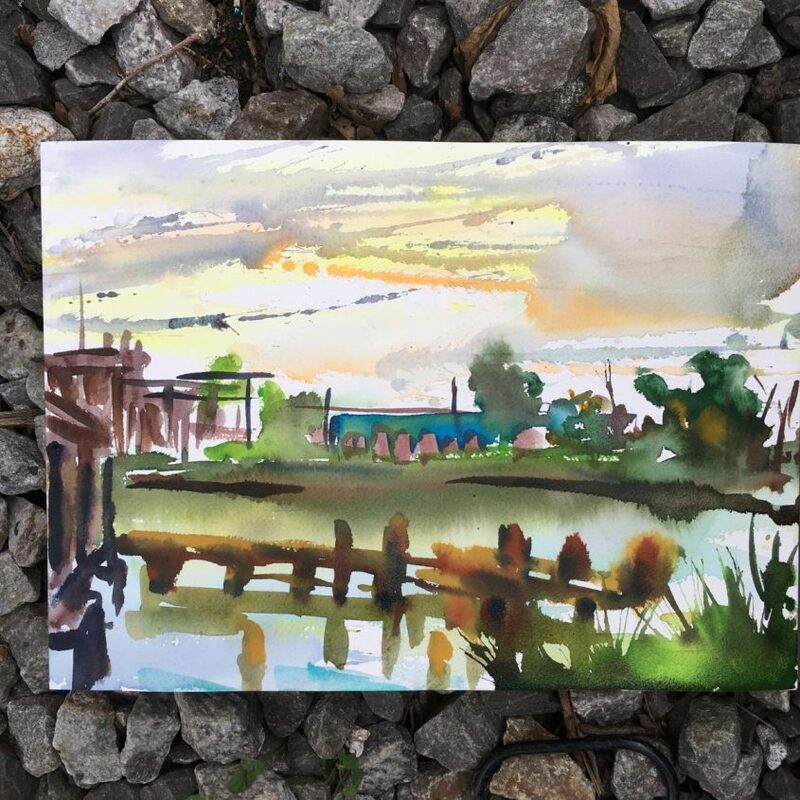 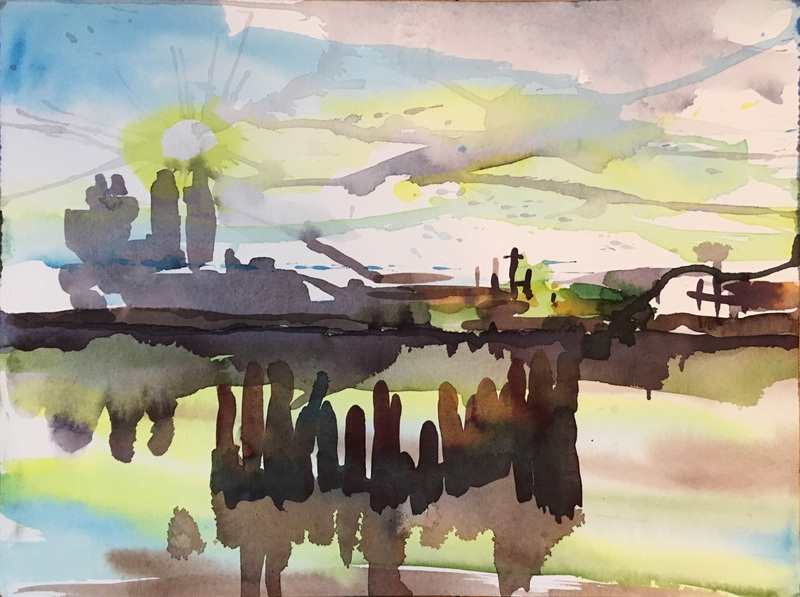 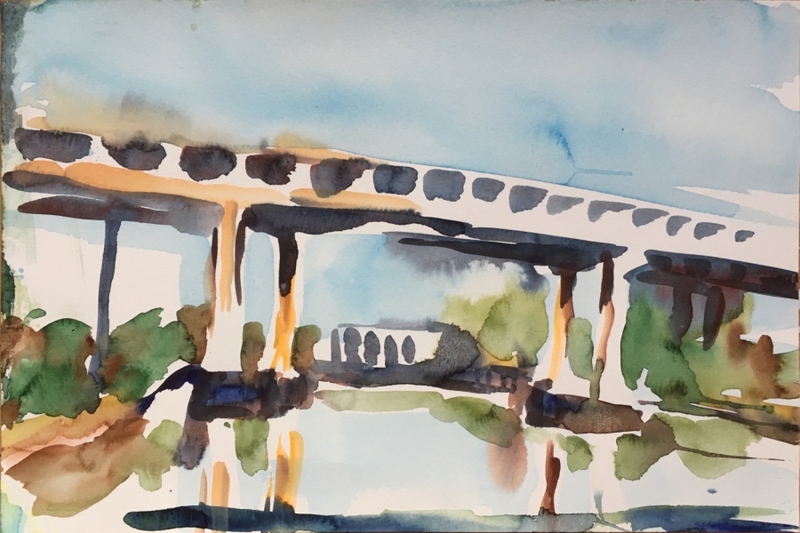 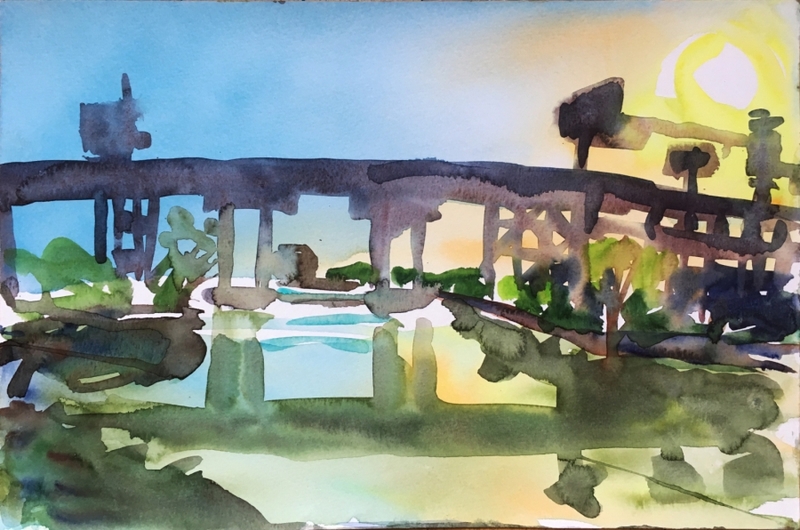 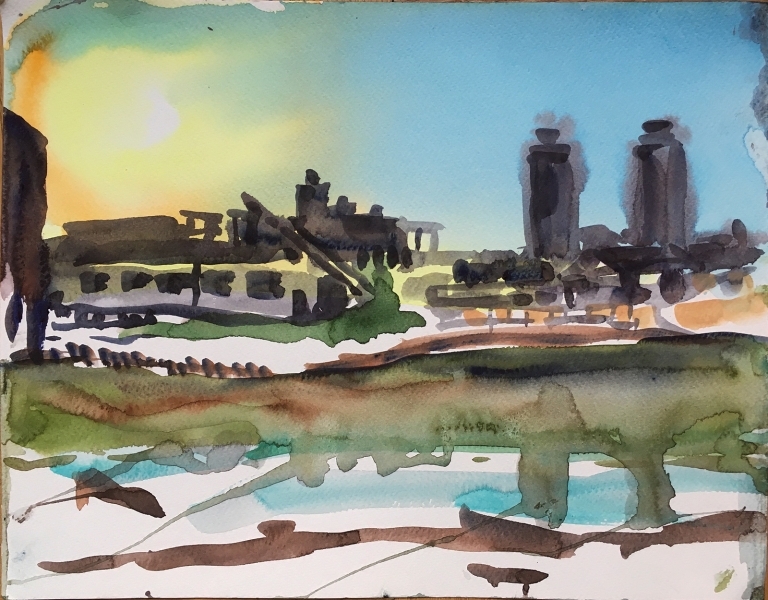 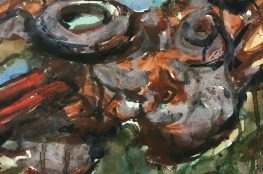 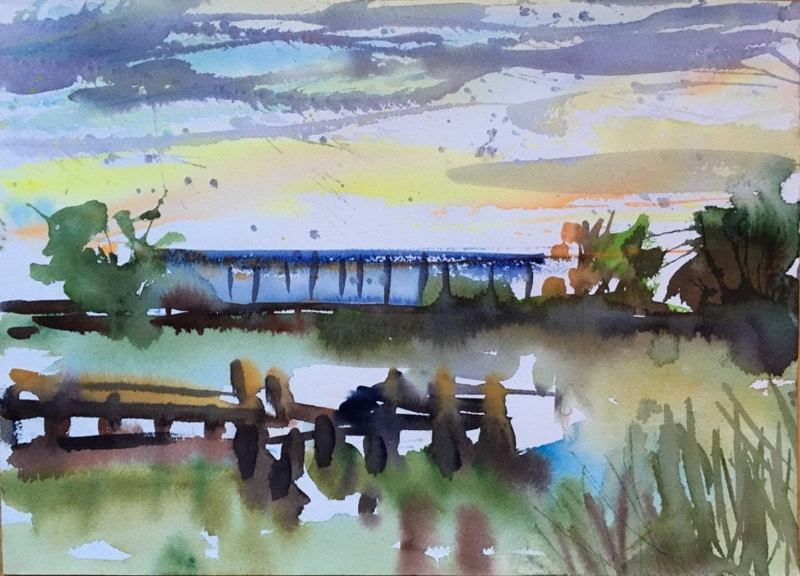 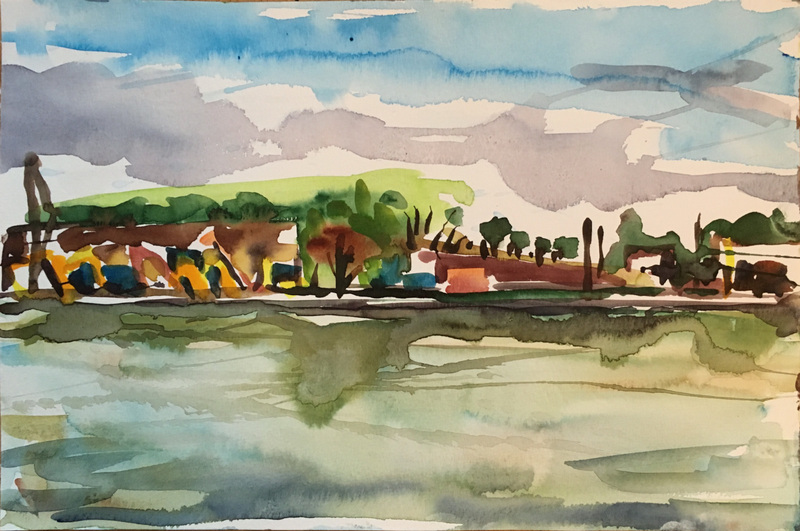 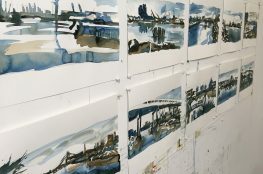 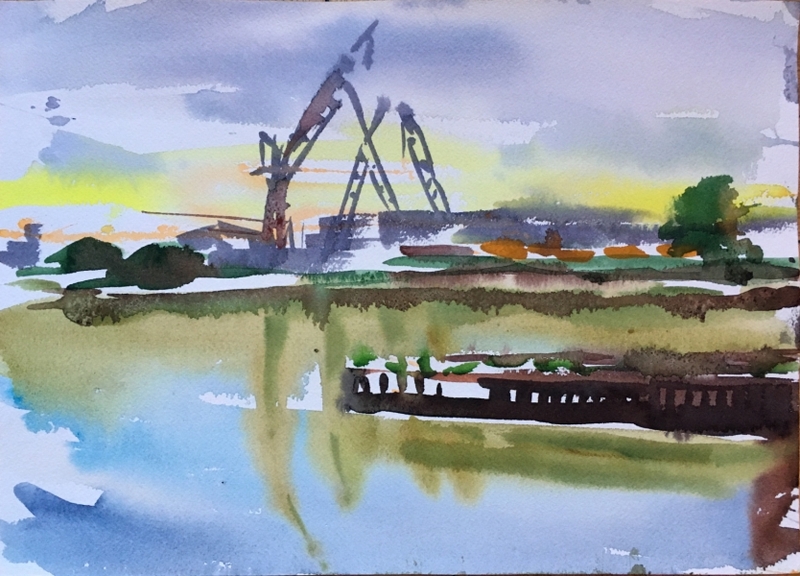 I painted these watercolors on-site, while biking around Newtown Creek in the summer and fall of 2018. 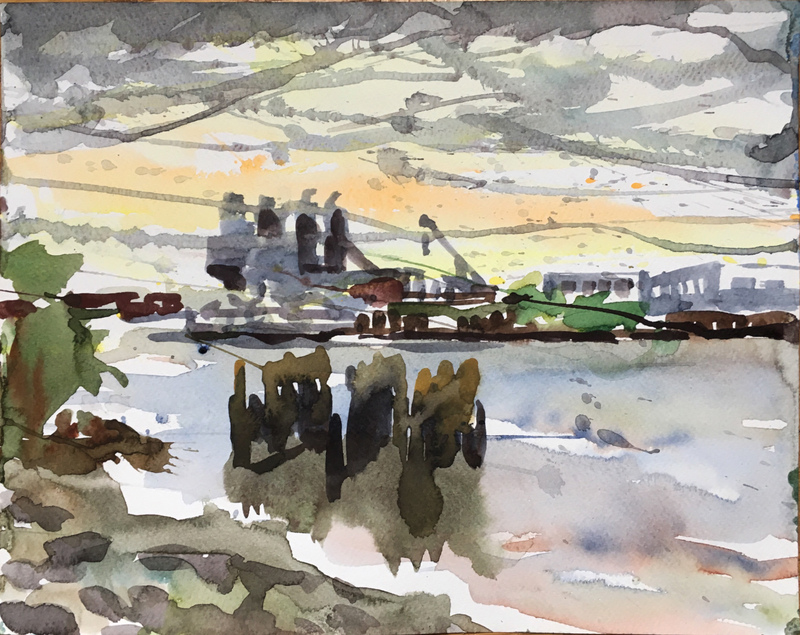 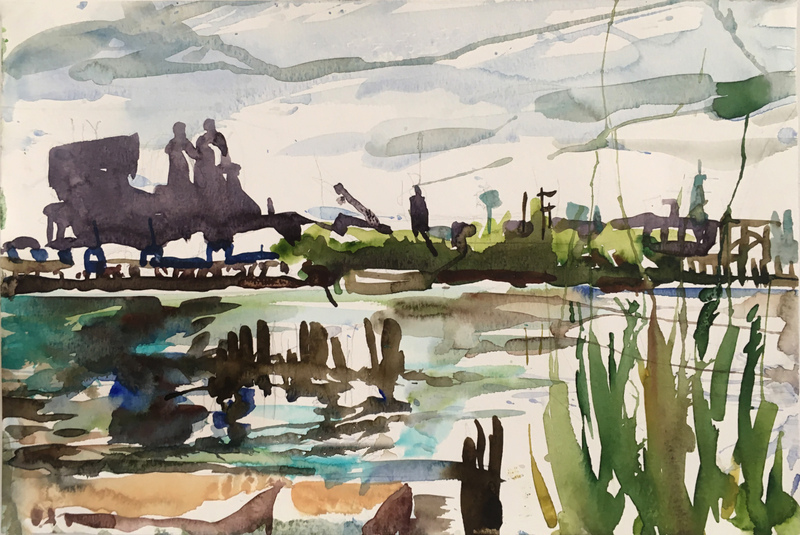 I plan to expand on these sketches to make large-scale paintings in my studio, and am seeking funding for a larger project focused on raising awareness of the remediation, and inherent beauty of Newtown creek.